Digital Subscriptions > Learn Hot English > 175 > Winter festivals! 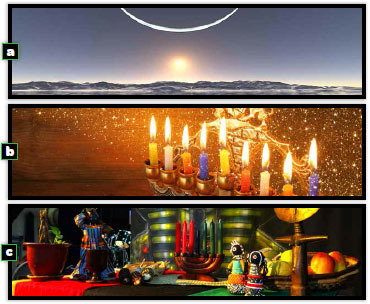 Find out about some other winter festivals and customs. Look at the pictures below. Do you know what these festivals are called? Do you know what happens during the celebrations? Read the article to check your ideas. 1. …involves worshipping the moon and sun? 2. …involves hanging up a big sock?